Nikki Haley US Ambassador To The United Nations: UN List Of Firms Linked To Israeli Settlements A "Waste Of Time"
The office of the UN high commissioner for human rights released the report that did not name the companies but could pave the way to a "blacklist" of businesses that Israeli officials fear would be targeted for an international boycott. United Nations: US Ambassador Nikki Haley on Wednesday slammed a UN report on 206 companies with ties to Israeli settlements as "a waste of time and resources" that showed an "anti-Israeli obsession." 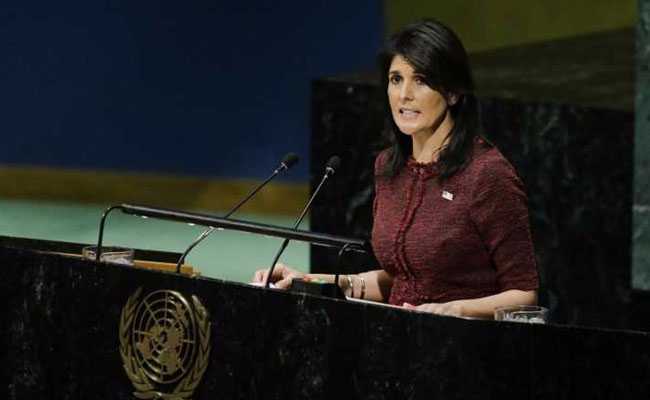 "This whole issue is outside the bounds of the High Commissioner for Human Rights office's mandate and is a waste of time and resources," Haley said in a statement. "While we note that they wisely refrained from listing individual companies, the fact that the report was issued at all is yet another reminder of the Council's anti-Israel obsession," said Haley. "The United States will continue to aggressively push back against the anti-Israel bias, and advance badly needed reforms of the Council," she added. Israel's UN Ambassador Danny Danon strongly condemned the report, calling it a "shameful act, which will serve as a stain on the UNHRC forever." 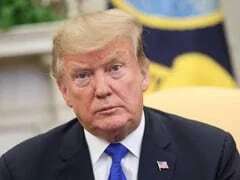 "We will continue to act with our allies and use all the means at our disposal to stop the publication of this disgraceful blacklist," he vowed. More than 600,000 Israeli settlers live in the West Bank and annexed east Jerusalem in often confrontational proximity to nearly three million Palestinians.